Music is a deep vessel, able to hold and present complex emotions, memories and meanings. Music during the Holocaust took many forms: the lullaby a parent would sing to a baby as they fled their burning house, the battle songs of partisans hiding in the forest, topical songs that provided scathing commentary on the Jewish leaders who struggled to administer the ghettos under Nazi rule, the love song of a husband longing for his wife who perished in the ghetto. The song allowed the singer/composer to escape from the ghetto into the only freedom possible and became one of the few vehicles for resistance and revolution. infused with the irony of being shut into a grey world, a world where hope was challenged by hunger, disease and death. Humorous hit songs of the day such as “Yes, We Have No Bananas” take on new meaning when the ghettos residents not only lacked bananas, but meat, bread and clean water. Through the cabaret, with its popular musical theater and entertainment, we enter this world and begin to grasp the lives and struggles of the men and women confined within. ethnomusicology colleagues, Philip V. Bohlman and Hankus Netsky to produce a resource guide to enable campuses to stage their own cabaret productions. 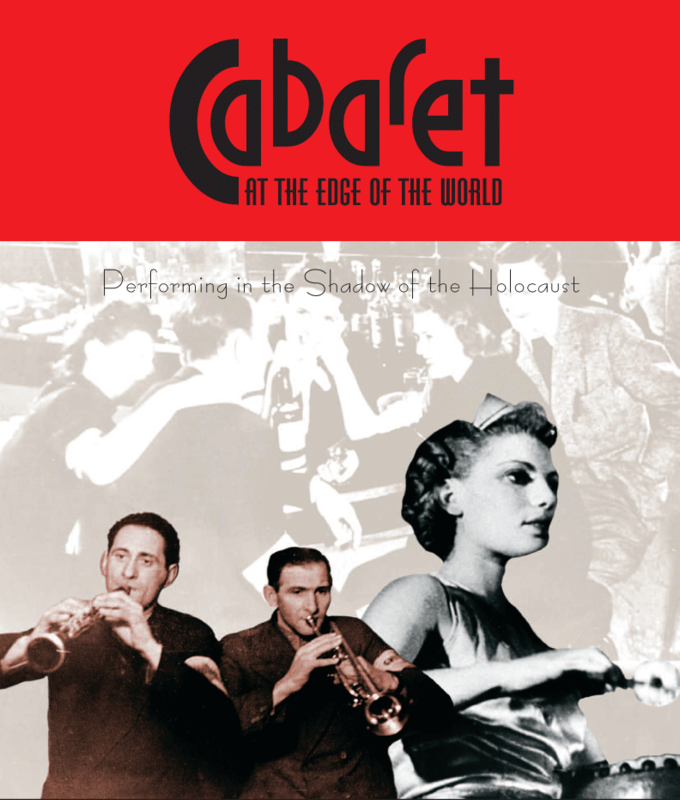 The packet includes background material on ghetto cabaret and music during the Holocaust, a CD of possible songs, and descriptions and translations of the material. This is both a new way to educate our campus about the Holocaust and an opportunity to engage a whole new group of students, both in the production and program in general. Read article about this cabaret project in The Boston Globe.